This is a review of a tea that I received for my birthday in 2015. Teapigs is an amusing name, this is my first experience with them! I got this package of their Darjeeling Earl Grey for my birthday last year, and I’m quite curious about it because I just love Earl Grey. The packaging states that the “tea temples” (I’ll be calling them pyramids throughout my review, or sachets) are biodegradable. The total package is 37.5g, which makes for 2.5g per sachet, a fairly generous amount! Inside the cardboard carton, there’s a cellophane bag which contains all the sachets. Sadly, this is not resealable once opened. I put all of my leftover pyramids into a ziploc bag with the necessary information from the packaging itself. I try to put my tea into containers if I have them handy, but I didn’t have any empty tea tins and I did have resealable bags available. Teapigs recommends steeping in 100C water for 3-5 minutes. I steeped my pyramid of Darjeeling Earl Grey for about 4 minutes (possibly closer to 5) and I think that was a bit too long. 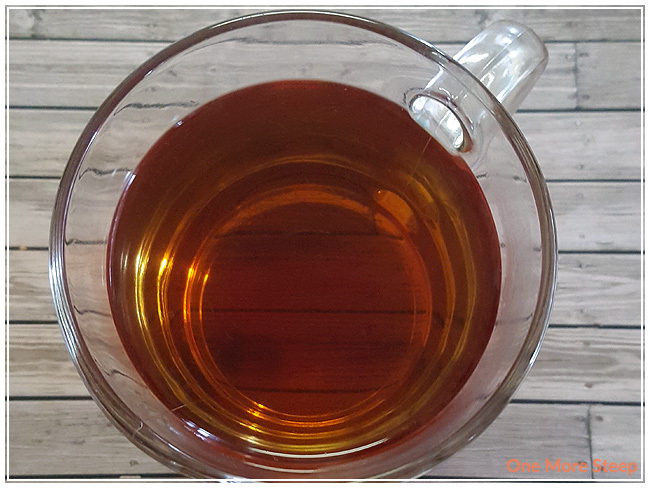 Darjeeling steeps to a lovely reddish brown that’s deep and clear. There’s just a touch of a bitter aftertaste, so I definitely think that steeping it for a shorter period of time would be a good idea. There’s a bright citrus aroma to the tea, thanks to the bergamot and lime. I would almost say that the lime overpowers the bergamot just a little bit too much, but it’s not unpleasant. I added a small spoonful of honey, because I’m usually a fan of a touch of sweetness with my Earl Grey. It does not disappoint, the sweetener brightens up the bergamot flavouring but doesn’t amplify the lime so it’s a bit more familiar and closer to what I’m used to, but still retains that lime flavour. I found that the pyramids are way too small! The leaves unfurl and they fill the pyramid to capacity. 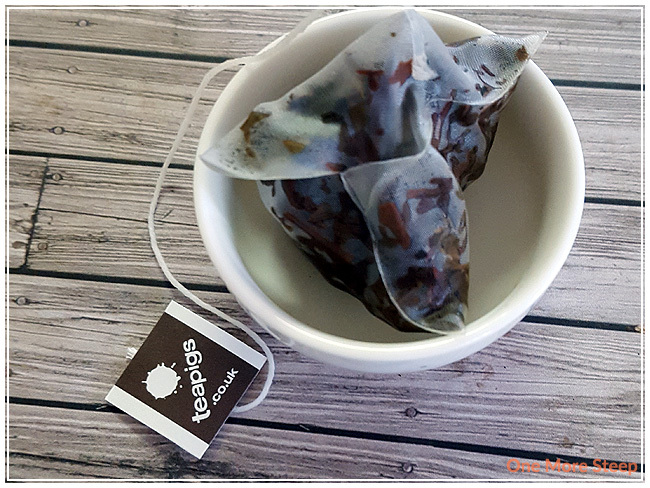 I would really recommend, if you can, to snip the sachets and empty the leaves into a basket infuser (like the kind that comes with teapots) to allow the leaves more room to expand. I did resteep Darjeeling Earl Grey and it’s delightful. The lime and bergamot flavouring is less pronounced in the second steeping, but the Darjeeling base holds strong and still has a bit of a kick to it in terms of caffeine. The flavouring was mostly gone by the third steeping, and did not resemble an Earl Grey at all. I would say that Darjeeling Earl Grey is good for one more steep only. 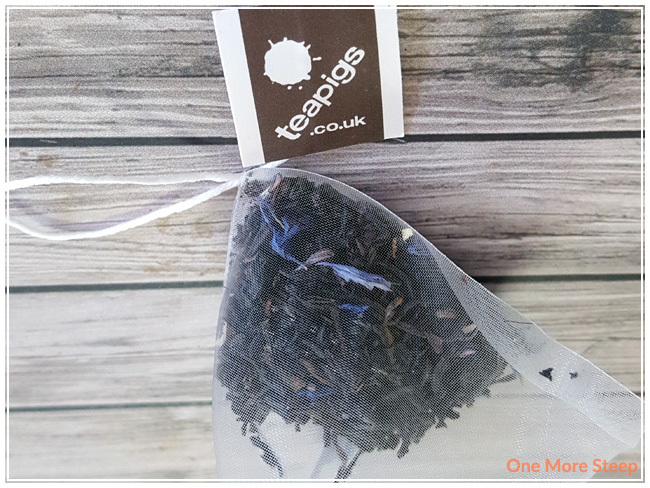 I liked Teapigs’ Darjeeling Earl Grey. I think it’s a great mix of the convenience of bagged tea with the quality of loose tea. It’s a very interesting experience because I’m not used to lime in my Earl Grey, but that doesn’t mean that it was bad. I definitely would recommend steeping the leaves outside of the pyramid because they’re just so stuffed in there, they need room to steep! 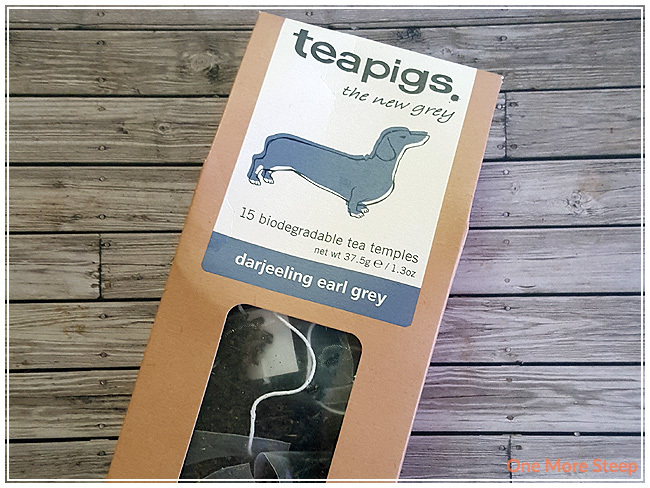 My guess is that Teapigs may have changed the formula of their Darjeeling Earl Grey because lime isn’t really what people expect in an Earl Grey, although it is a bit confusing that they kept the same name and changed the added flavourings. Nevertheless, lime is a welcome change to an old time favourite, but I’m kind of disappointed that I won’t be able to get more of it once I run out since it’s not longer being produced. Also, pro-tip – watch your steeping times! It can (and will) get a touch bitter if you don’t baby your tea a bit more carefully than I did.